We heart the holiday season. We also know that it can be busy. That’s why we’re dishing on recipes that deliver big on flavor without requiring hours of prep or an extra trip to the grocery store. These five ingredient fixes are mouthwateringly good and make the most of stuff you probably already have in your pantry. It’s hard to go wrong with the classic flavors of a caprese salad. 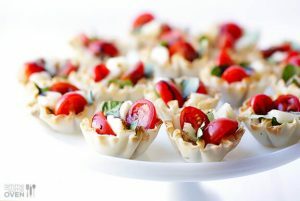 These red and green filled phyllo cups are not only ultra festive … they’re also ultra delicious. 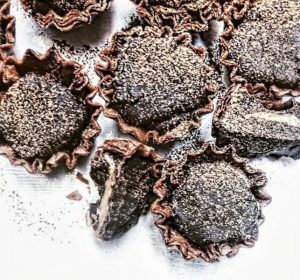 Dress up your peanut butter cup. 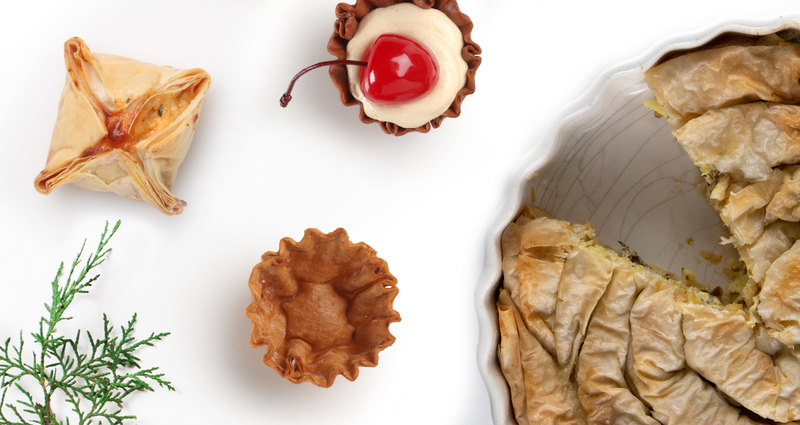 Phyllo, dark chocolate, and almond butter come together for a sweet treat that kicks crumbly ol’ cookies to the curb. Traveling this season? 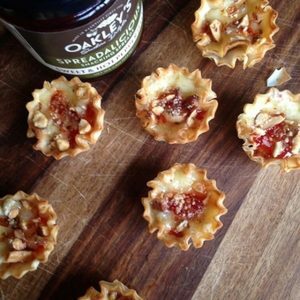 If you need to bring a snack to a party that’s a hike from your oven, these pepper jelly pastries taste delicious at room temp. A little spicy, a little sweet, there’s no way you’ll have leftovers to take back home when the night is over. Office potluck people tend to fall in one of two camps: either they’re last minute Lucy’s who pick up chips on the way into work, or they’re show-offs who spend the night prior slaving over an elaborate snack. 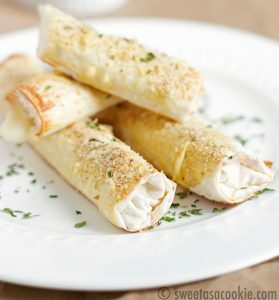 For a quick app that doesn’t try too hard, make these crowd-pleasing phyllo mozz sticks. 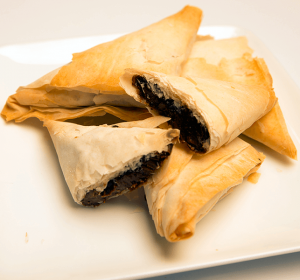 If you’re having family over this holiday season, tuck this recipe for chocolate phyllo triangles in your back pocket. These bad boys look impressive piled on a platter … and no one but you needs to know how easy they were to assemble. For more 5-ingredient ideas, check out our Pinterest board. And tell us, what are your favorite holiday shortcuts? We’re all ears.